To outsiders, Jessica Berger Gross's childhood-growing up in a 'nice' Jewish family in middle class Long Island-seemed as wholesomely American as any other. But behind closed doors, Jessica suffered years of physical and emotional abuse at the hands of her father, whose mood would veer unexpectedly from loving to violent. 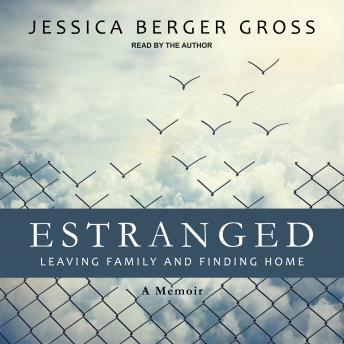 In her powerful memoir reminiscent of Jeannette Walls's bestseller The Glass Castle, Jessica breaks through common social taboos and bravely recounts the painful, self-defeating ways in which she internalized her abusive childhood, how she came to the monumental decision to break free from her family, and how she endured the difficult road that followed. Ultimately, by extracting herself from the damaging patterns and relationships of the past, Jessica has managed to carve an inspiring path to happiness-one she has created on her own terms. Her story, told here in a careful, unflinching, and forthright way, completely reframes how we think about family and the past.